As the nights become cooler, you're no doubt hunting out sweaters and blankets to keep yourself toasty and warm. You may even be putting an electric blanket on your bed to give you a comfortable nights sleep - but what about your feline companion? Cats respond really positively to warmth - no doubt you've witnessed your kitty acting like a sun dial, taking naps in only sunny places throughout the day - so of course they want to be kept as warm as possible all year round, if not definitely during fall and winter! So what about a heated bed? A heated bed is the perfect solution to keep your cat cozy. And believe us, they will love it. If you have a multi-cat household, watch them fight over who gets to have a rest in the bed first - they can be that enticing! Thermo heated cat beds are designed to match your cat's body temperature - roughly 10-15 degrees above ambient air temperature, so while some owners may think the bed's not warm enough - it really is. And how to do you know it's working? Just witness the queue of cats waiting (impatiently) for their turn! They are really safe to use and can remain plugged in all of the time - and the best news of all is that it doesn't impose on your electricity bills all that much. 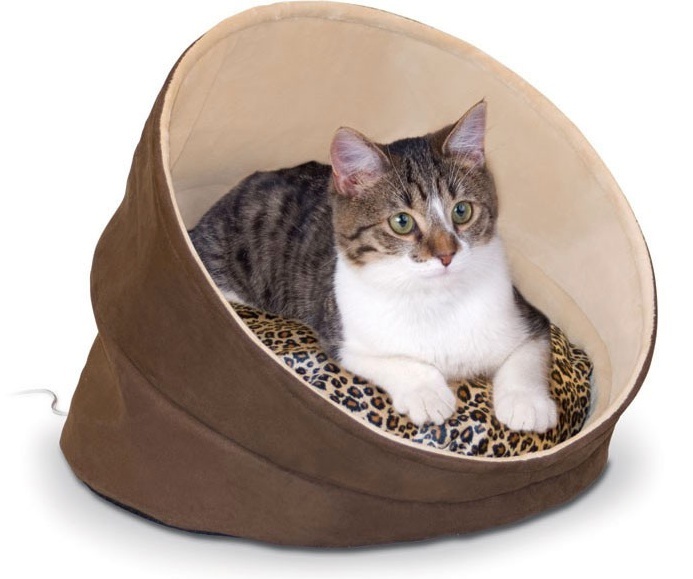 Self warming beds like this one are super cute because they look like cat sized sleeping bags! The beauty of these types of beds is that cats can really crawl up and snuggle down- which they love doing. The self warming action is all thanks to the material which self-insulates, radiating their heat back into themselves. Perfect for older cats who are more susceptible to the cold. Cats who have joint pain or arthritis, can be greatly soothed by the warmth. Is an attractive alternative for cats who like to sleep in bed with their owners (and for owners who would now like some peace and quiet). Are extremely popular with cats - some people in multi-cat homes have to buy more than one to keep up with demand! You are bound to get your money's worth as they are rarely empty and will be well used. 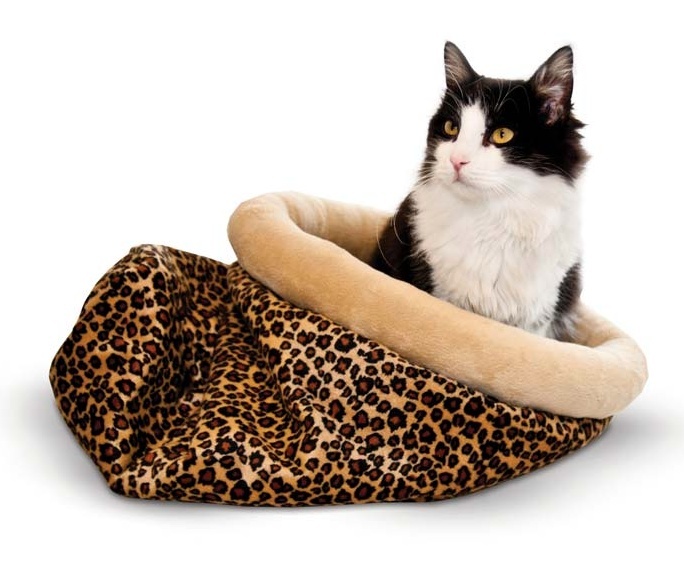 If you think it's time to get your cat a heated bed why not check out the enitre range here.